Make this the most romantic Valentine’s Day yet! 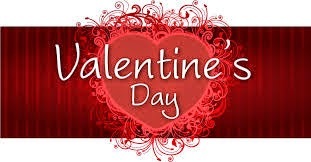 Seattle Top Class Limo is playing CUPID this year, and taking you around Seattle's finest and most romantic locations! With the hottest spots in Seattle paired with this most luxurious and elegant limousine services, we’ll make your big night one that you two will never forget! This Valentine’s Day, you’ll have endless choices of events that you can indulge in! Have fun and stay busy all day until sun sets on this romantic evening! Our vehicles are luxuriously beautiful and our drivers are the best of the best! We have established FREE entrances to some of the hottest night clubs in the Seattle area, so you can have the most fun and intimate night! After a long night out, there’s nothing more convenient than having a warm and spacious limousine ride in and return to. Make a reservation for our luxury limousine rentals in Seattle.